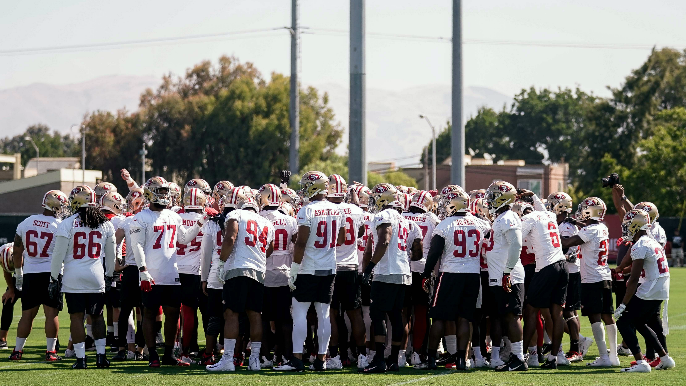 On Friday NBC’s Matt Maiocco reported that former San Francisco 49ers assistant offensive line coach Adam Stenavich has been hired by the Green Bay Packers to serve as their offensive line coach. Stenavich, who helped groom Pro-Bowl rookie tackle Mike McGlinchey, will serve as the offensive line coach for a Packers team that finished this past season in the bottom-20 in the NFL in rushing yards, sacks allowed, and quarterback hits. Stenavich is the third member of the 49ers coaching staff that will not return to the team next year along with former defensive line coach Jeff Zgonina, and former defensive backs coach Jeff Hafley, who left the team to become co-defensive coordinator at Ohio State. Adam Stenavich served as an assistant offensive line coach for the 49ers for two seasons. Previously, he served stints as offensive line coach at San Jose State University and Northern Arizona University. He also played left tackle at the University of Michigan from 2001-2005.